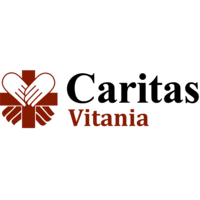 Charity Catholic organization Vitania ("Caritas Vitania") was established in 2011 by the Roman Catholic Diocese of Sofia and Plovdiv, and registered as a legal non-profit organisation for the public benefit. She is a member of the National Catholic Federation "Caritas Bulgaria". "Caritas Vitania" as a ministry of The Catholic Church, continues Christ’s healing mission, promotes excellence in care and commits itself to those in need. Led by Christian virtues: charity, justice and mercy, "Caritas Vitania" affirms the sanctity of life, advocates for the poor and serve the common good. In all its actions and interactions try to approach with fairness, integrity and respect for the dignity of each person.